For my Birthday this year I decided that I wanted my friends to all buy me pieces of makeup to go along with my current obsession. 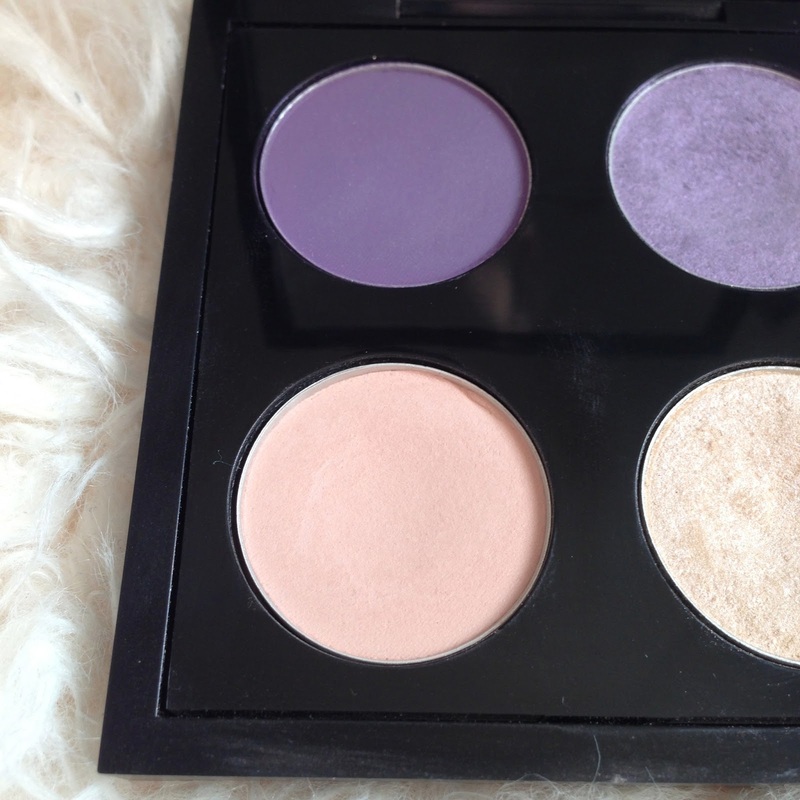 One of the products I really wanted was an eyeshadow palette from MAC filled with some gorgeous eyeshadows that I had been lusting over. I really wanted to try purples as I didn’t have any nice purple shades in my eyeshadow collection, so I chose two shades that I thought would really compliment each other, Beautiful Iris and Purple Haze. 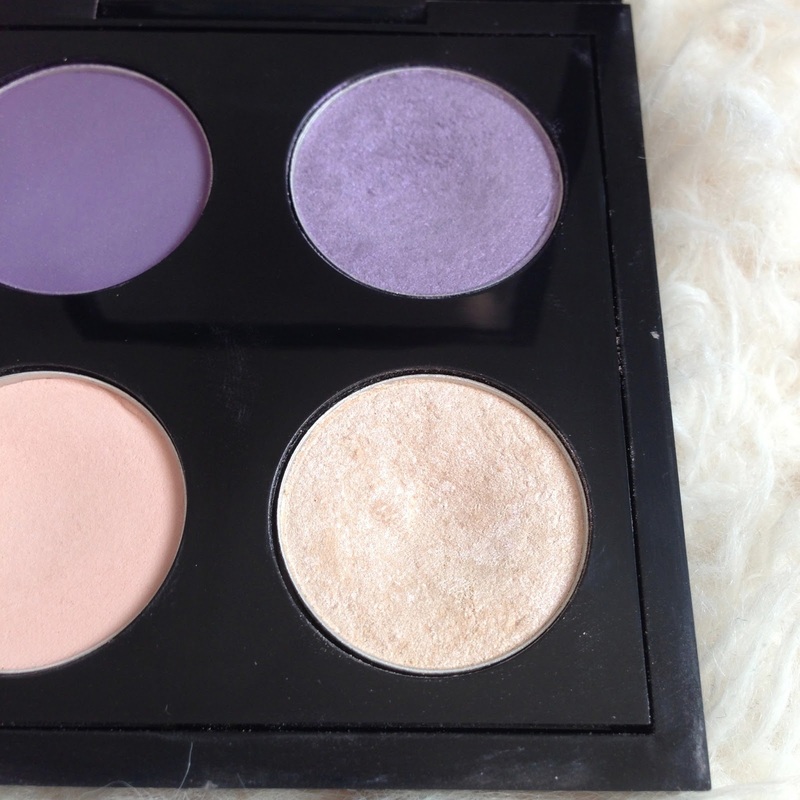 I then chose two lighter shades, Orb to use as a base and lighter, skin tone shade, and Dazzlelight, to use as a highlight for the brow bone and inner corners of the eye. I used all of the eyeshadows together for work on Friday, and this was the finished look. 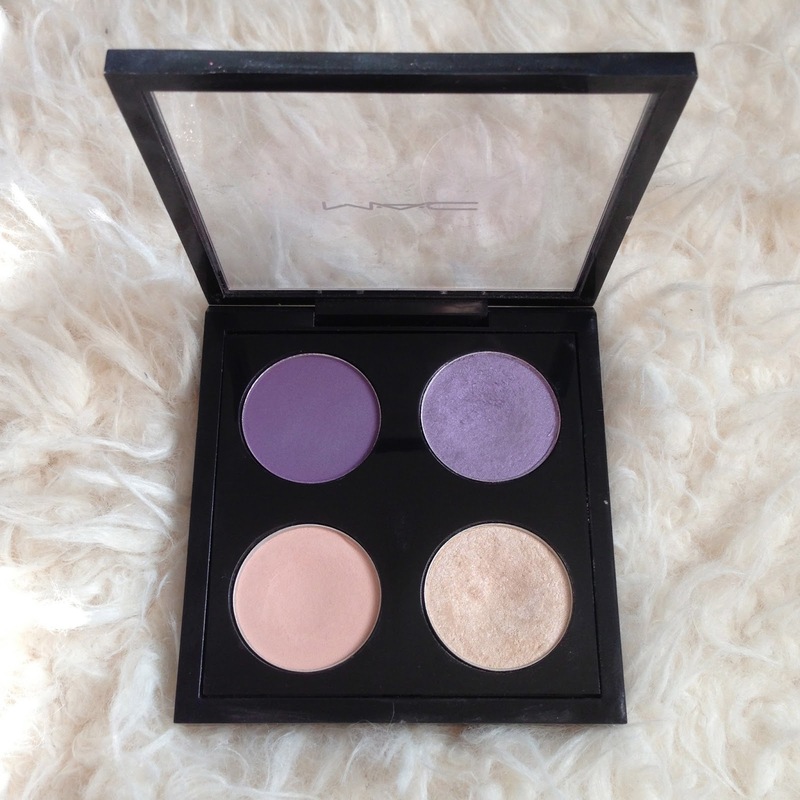 All I did was simply sweep the light Orb shade all over the lid and up to the crease using a MAC 213 eyeshadow brush. I then applied Beautiful Iris to the middle of my eye using the same brush, working outwards towards the outer corner and up to the crease again. I then blended the colour lightly towards the inner corner so that it overlapped Orb but did not entirely cover the light shade. This was the two shades were blended and fade from a light cream to light purple. I then took Purple Haze on a 275 Mac blending brush and ran it along and into my crease, flicking out the end at the outer corner to line up with my eyeliner. I then blended it lightly down towards the purple to again give the effect of the colour fading from light to dark at the outer corner. I finally applied a small amount of dazzlelight to my 219 pencil brush and dabbed this into my inner corner. I then added a touch more under my brow. I finished off by blending all of the colours at the top of my crease and lightly over the lid with a MAC 217 brush. Just a very simple, blended eyeshadow look but I really love the way the colours compliment each other. I really do recommend all of these colours to anyone. I use Dazzlelight almost daily either as a brow highlight and in my eyes inner corners so that is definitely a staple shade for me now. I also really love Purple Daze as it is much more matte and is such a lovely colour when applied. 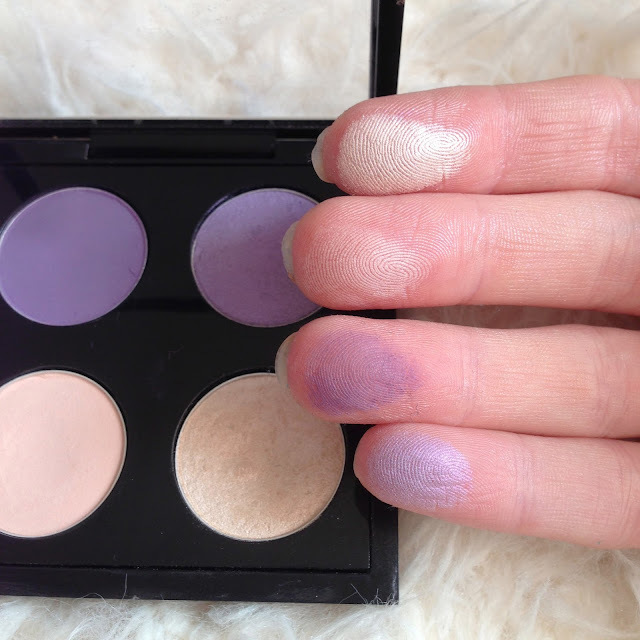 Beautiful Iris is also great for building up colour, so although I applied only a small amount here, it is buildable to a really shimmery and colourful eyeshadow look.